Inspiration: Biotrace collection has been inspired by images of microbes under a microscope. 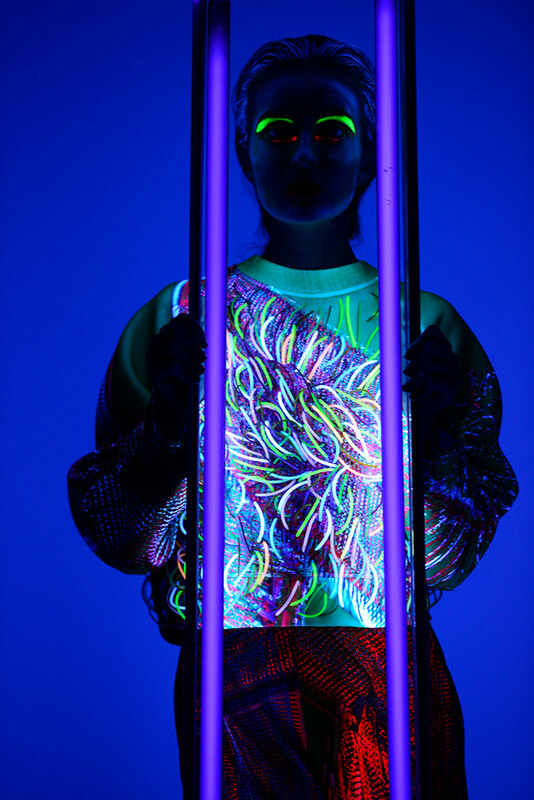 The textiles are covered in neon prints and silicone tubes which glow under black light and in the darkness, just like some strains of microbes. 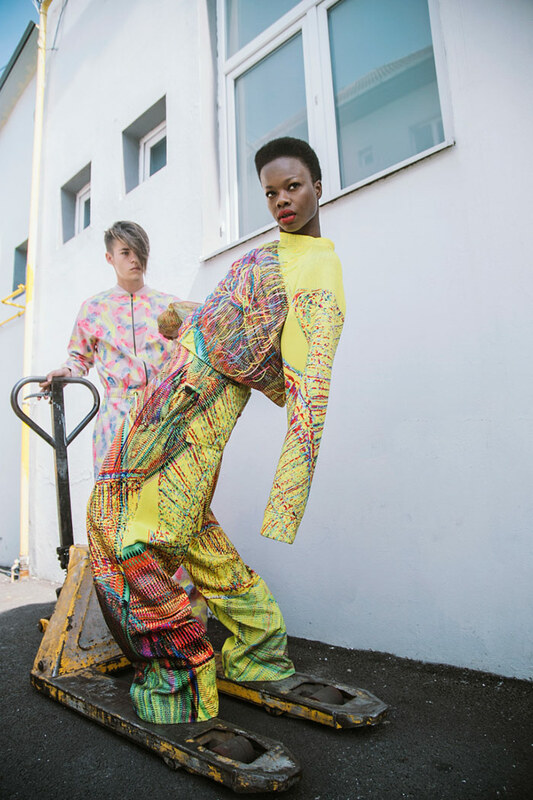 Materials and techniques: Digital print and block print, silicone tubes reshaping classical pleats and fluorescent details, handmade fabric manipulations.